My husband and I are looking at camping the TMB this summer (July 2019). This article is a great resource to help us budget our trip! We wondered if you have a list of the campsites you stayed at, and if you had to book them in advance. Yes we do! 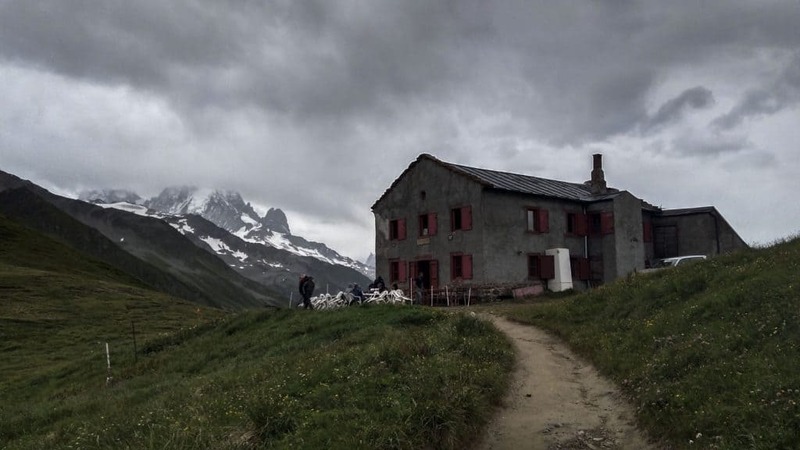 Start by checking out our Guide to Camping on the Tour du Mont Blanc. From there, our How to Find All of Your Campsites on the TMB will likely be useful, too. Happy trails! Great! Thank you. Again, amazing website. We are so excited for our trip and glad to be doing it the budget-friendly way. Thanks and congrats for your article. It is really helpful. Could you just clarify if the average hut price (€54) you spend in 2017 was included anything such as dinner, breakfast or it was just related to overnight stay? Tmb is a dream that I am considering for this year. Glad you are finding our article useful! 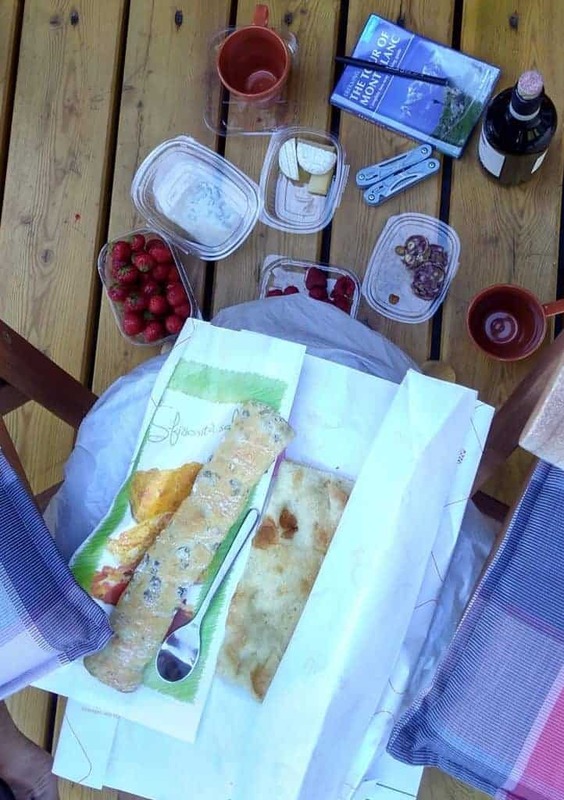 The average price of €54 included dinner and breakfast the following morning. A few huts give you the option to not include this, but we would recommend it as the food is really good! Could you please provide some guidance on when to buy food and how much water to carry. I’m starting in Courmayer. I have purchased your guide. If I stay at the campgrounds you recommend, did you purchase the food you needed for the day in the morning? Did you ever carry food for more than 1 day? Did you fill up on water for the day in the morning or were there some wild camping nights you needed water for more than one day? What was the maximum water you carried (3L)? In terms of food, we generally recommend carrying about 2-3 days’ worth of food with you. 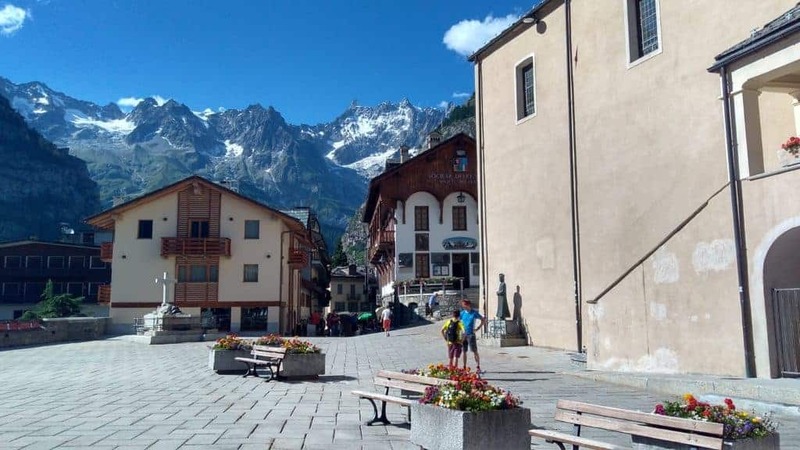 There are shops in most of the places you’ll pass through (Champex, Les Contamines, Les Chapieux, Trient, La Fouly) where you can restock, but the options and opening hours can be somewhat limited. It also depends on how you prefer to travel. If you want to purchase meals from restaurants and huts along the route, you could carry less food. Many of the campgrounds sell snacks and bread in the mornings, as well. In terms of water, it is pretty abundant on the trail. We never had to carry more than one day’s worth of water, and found that we could refill at huts and in towns at least once a day. We typically carried about 2L of water per person, and we usually refilled 1L at least once per day. So I’d say that 3L is a good maximum to carry. However, we did not wild camp at all along the route, opting instead to stay in huts in the places where camping wasn’t permitted. If you plan on wild camping near a hut, you can fill up using their tap, but if not you may want to bring extra water. Look at the route and see how far until the next town or hut, and plan based on that. Please let us know if you have other questions and have a fabulous hike!